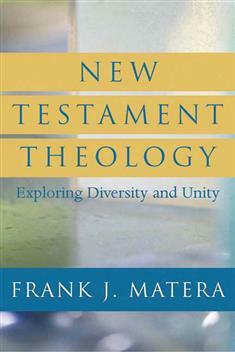 In this systematic, book-by-book exploration of the theology of each New Testament writing, Frank J. Matera explores theological diversity and unity in the writings of the New Testament. After an introduction to the history and method of New Testament theology, he explains and describes the theologies of the Synoptic, Pauline, and Johannine traditions, as well as the rich theology of other New Testament voices: Hebrews, the Catholic Epistles, and the book of Revelation. Integrating both Protestant and Catholic approaches, this work provides students, pastors, and scholars a comprehensive view of the New Testament that is rich in exegetical and theological insight.